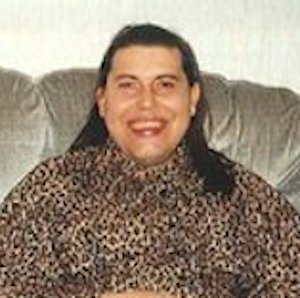 A murder investigation has been launched amid tributes paid to a “brave” trans woman who was found dead on Tuesday. Jacqueline Cowdrey, known as Jacqui, was found dead in her flat in Heron Court, Victoria Road, Worthing, just before 6pm on Tuesday. A murder investigation has been launched, and two men, aged 34 and 63 were arrested, before being bailed. A post-mortem showed inconclusive results, and further tests will be carried out in order to determine the cause of death. Detective Inspector Gordon Denslow said: “We are still trying to confirm exactly what happened in the hours before her death. “We believe she was in an argument with a man in Bedford Row, close to the Vintner’s Parrot pub in Warwick Street. Members of Jacqui’s family paid tribute to the 50-year-old Star Trek fan. The family continued: “She experienced much prejudice due to some of her life choices. Police called for witnesses to come forward. Anyone who may have seen an argument in the area between time between 4pm and 7pm on November 18, or any other information should contact police on 101 quoting Operation Seal or Crimestoppers anonymously on 0800 555 111.